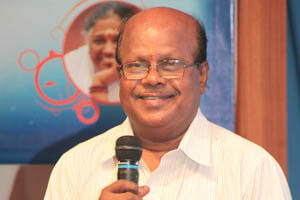 A multidisciplinary scientist having over 43 years experience.Carried out original research in Cytogenetics & Plant Breeding, Biotechnology, Molecular Taxonomy, biosynthesis of secondary metabolites, Ethnobiology, Ethnopharmacology, Bioprospecting and Natural Product Development.Published over 515 research papers, authored and edited 26 books.He has 232 patents (India 76, USA 95, Europe 61) to his name. Central Institute for Medicinal & Aromatic Plants (CIMAP), Lucknow. Now serving also as consultant to WHO, DANIDA, UNESCO, UNDP, UNEP and NAM S&T Centre for developing countries UN-CBD, Proctor and Gamble, Godfrey Phillip, Kottakkal Arya Vaidya Sala. Fellow of five other Scientific Bodies in India. International Society of Environmental Botanist (April 1999 to Jan 2006). Also served as Vice-President/Chairman/Vice Chairman/Member of many National and International scientific bodies/committees, visited over 78 countries in various capacities as Chairman/leader of scientific delegation/scientific expert or to participate in International seminars/symposia or to chair the International Expert Panel to review research programmes. • Authored and Edited 26 books & 36 Reports. He has 232 patents ( India (76), USA (95), Europe, Canada & Japan (61). Twenty of his patented products are now commercially produced and globally marketed. • Padma Shri Award in 2010.